Uncle Sam will rip a page from Big Tobacco’s marketing playbook, targeting the taste and buying-ease of nicotine-containing products with tough new restrictions aimed at better protecting kids. Will these latest steps, however, snuff out the increasingly risky youth vaping craze and long problematic menthol cigarettes and cigars? Or are officials too late and being more helpful than not to tobacco interests? The Washington Post first reported the outlines of plans by the federal Food and Drug Administration to crack on the hot youth trend of using e-cigarettes by barring sales at gas stations and convenience stores like 7-Eleven of certain flavored liquids and devices used in vaping. But the FDA, in its formal policy announcement, retreated from that tough stance. Instead, the agency says it will require gas stations and convenience stores to require age verification and keep specified products away from the under-aged. It is unclear if this means vendors simply can stash these items under the counters, or if they must be kept in separate adults-only areas. FDA backers noted that these steps to get the goods out of kids hands may be more effective than at first-glance, because gas stations and convenience stores may not want to deal with added burdens to sell e-cigarettes and vaping items. As the Wall Street Journal also reported earlier, Juul — the maker with 70 percent of the market with its tiny, cartridge-using e-cigarette — has decided to yank many of its nicotine-delivery systems from retail stores anyhow. Juul now will sell its product chiefly online, where it also will face new requirements for purchasers to provide proof of age. The FDA had subjected Juul to heightened scrutiny, investigating not only sales of its products and cracking down on vendors of them, but also questioning the maker’s aggressive advertising and marketing pitched to youths. Juul also has said it will curb its apparently highly successful social media campaigns, which had featured teens vaping in settings alluring to the young. Critics already are questioning the FDA’s tardy actions against e-cigarettes and vaping, noting how the agency has fumbled but finally acted to deal with another tobacco-related menace: menthol-flavored cigarettes and cigars. The FDA, the New York Times reported, will crack down on menthol smokes, even as it attacks e-cigarettes. The agency will recommend new rules for flavored, combustible cigarettes but these may take years to enact, particularly if Big Tobacco opposes the measures. The menthol battle, experts say, shows how taste and convenience long have played key roles with consumers and tobacco products. As health experts amassed the incontrovertible evidence and research that cigarette smoking causes cancers and other heart- and lung-diseases, federal regulators made many such tobacco products tougher and costlier to buy. Menthols, however, escaped harshest regulation, partly because Big Tobacco aggressively positioned and lobbied officials with the argument that these cigarettes were “smoother,” and easier to consume because they purportedly were less irritating and their fumes less caustic. Makers also targeted them all too well at African Americans, with the NAACP’s Youth Against Menthol campaign saying that 85 percent or so of black smokers ages 12 and up now smoke menthols, compared with 29 percent of white smokers. Public health experts long have castigated the FDA for failing to attack menthols as a cause of cancers and heart and lung illnesses for African Americans. Although the FDA won praise for getting more aggressive about e-cigarettes, flavoring, vaping, and menthol cigarettes and cigars, critics said the agency needed to do yet more, particularly as research points to e-cigarettes and vaping as gateways to tobacco abuse by the young. The Verge, a youth-oriented online news site, has followed traditional media reporting, interviewing anti-smoking experts and advocates and offering key information. 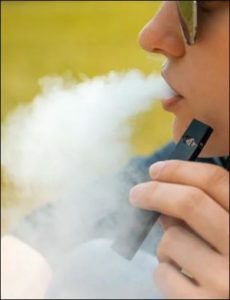 The site notes that the e-cigarette rules will most affect products like Juul, while curtailing less some potentially risky alternatives — vaping devices that rely not on closed cartridges or pods like those in Juul devices and their ilk but those that have refillable reservoirs. The alternative devices, by the way, tend to be made and peddled by Big Tobacco subsidiaries, or other makers of these products use tobacco-derived nicotine in their devices. The Washington Post reported that FDA officials wanted to shut down gas station and convenience store sales of fruity vaping liquids because they so targeted younger consumers. They also have resulted in poisonings of users’ younger siblings who consumed the fluids, mistaking them for bright-colored sugary drinks. The Verge, however, noted that many vapers will be fine still getting at current outlets their mint and menthol vaping liquids and flavors, which, so far, will not be part of the FDA crackdown. Experts quoted by the Verge also noted that, as has happened with tougher cigarette rules, the crackdown on e-cigarettes and vaping may have unintended consequences: It may send young people to other means of conveyance for addictive and harmful nicotine, namely cigars, particularly small, flavored varieties that may take a long time before regulators win approval to actual rid stores of these. And while the FDA has hopes that grown-ups might switch to e-cigarettes — which current research suggests may be slightly less harmful than their tobacco-combustible cousins — the steps to make them and vaping harder for kids may have the collateral effect of discouraging adults from their use. If anyone might feel even a twinge of sympathy for regulators dealing with complex health situations, don’t. In my practice, I see not only the harms that patients suffer while seeking medical services, but also the damage that long has been wreaked upon them by Big Tobacco and smoking and now vaping. Anti-tobacco forces had won a major battle before Scott Gottlieb became President Trump’s appointed FDA commissioner, persuading Obama Administration officials to rigorously regulate e-cigarettes and vaping. But those regulations were postponed for further study by Gottlieb, a onetime board member of an e-cigarette maker. He went on to outline a tobacco-fighting strategy focused on significant reductions in nicotine use and abuse, contending that better controlling this addictive substance would, in turn, help curb tobacco dependence and harm. In other words, the commissioner — a doctor with a history of government and Big Pharma service and a Trump official who has avoided the scandal and criticism that have tarred many other of his peers in this administration — was vulnerable to having his legacy be that he dawdled while a generation of young people got addicted to nicotine and potentially to being hooked on cigarette smoking. The FDA has launched a nationwide campaign, citing and seeking fines against retailers who sell e-cigarettes and vaping paraphernalia to minors in violation of federal laws. The agency also has put Juul on the griddle, demanding information as to how the company came to control as much as 70 percent of the e-cigarette market, making prodigious profits in doing so. But now, can Uncle Sam stuff the genie back in the bottle? Will fickle youths move on from the e-cigarette and vaping scene to another cool thing? 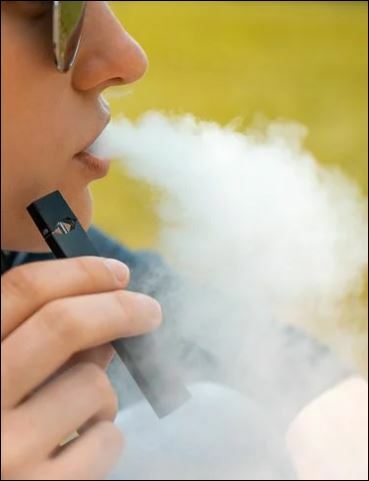 Or will regulators’ sharp, swift actions only make this fad seem more rebellious and appealing to the young, so they search out e-cigarettes and vaping experiences, coveting them as much as their parents or grandparents scrounged for beer, cigarettes, pop music, and smutty magazines? Gottlieb’s blunder in timing the FDA’s e-cigarette response may seem even worse because his colleagues at the federal Centers for Disease Control and Prevention just announced that cigarette smoking fell to an all-time low in 2017, with just 14 percent of Americans say they were “every day” or “some day” puffers. On the other hand, the CDC also noted, 47 million U.S. adults (1 in 5 of us) “used a tobacco product in 2017 —a variety of smoked, smokeless, and electronic tobacco products.” Sounds like the commissioner and his crew have a lot of work in catching up to their duty in protecting the nation’s health.